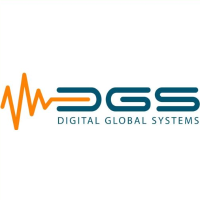 Digital Global Systems, a Tysons Corner, Va.-based provider of a drone threat management solution, raised an additional $7.5m in Series B-3 and B-4 funding rounds. The rounds brought total funding raised by the company to date to since inception to more than $28m. Led by Fernando Murias, CEO, Digital Global Systems specializes in providing rapid detection of individual Radio Frequency signals and classification of their unique attributes to create near real time actionable knowledge for security and asset protection. Its products can be operated in stand-alone mode or as nodal networks spanning entire continents. With 34 patents issued in the past 4 years, the company’s technology focuses on providing enhanced asset security through superior RF knowledge, critical for National Infrastructure protection.